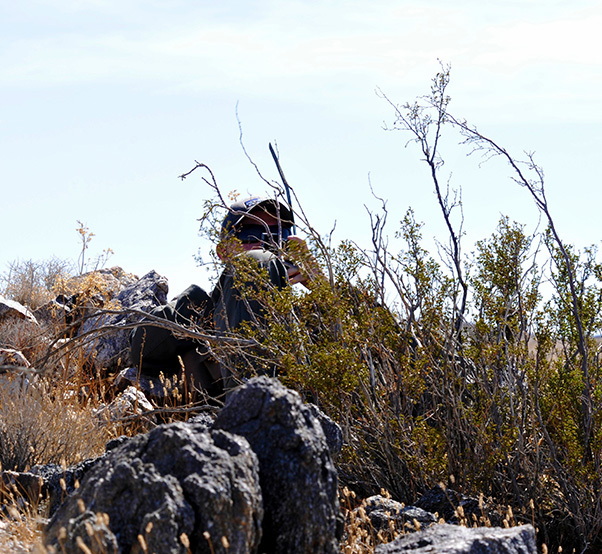 An A-10c Thunderbolt II Fighter Pilot from the 163d Fighter Squadron of the 122nd Fighter Wing relies on learned survival tactics to evade simulated enemy forces during a Combat Search and Rescue exercise September 19, 2017 at the Army’s National Training Center, Fort Irwin, Calif. 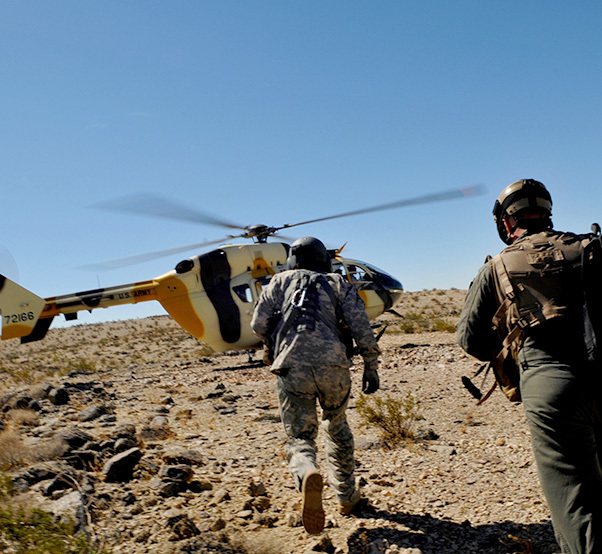 The CSAR exercise was part of the Green Flag-West 17-09 air-land integration joint combat training exercise. The 163rd Fighter Squadron, 122nd Fighter Wing, along with the 122nd Operations and Maintenance Groups took part in a Green Flag-West air-land integration joint combat training exercise Sept. 7-23 at Nellis Air Force Base, Nev., as a part of their major pre-deployment spin-up. 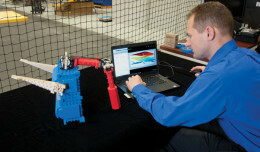 The wing is part of the Indiana National Guard based in Fort Wayne, Ind. Green Flag is a realistic Close Air Support exercise intended to increase readiness in regards to the employment of air, space and cyber power in conjunction with ground force operations. 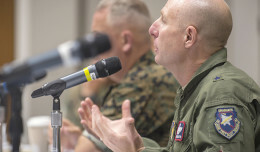 The exercise provides a unique environment that allows fighter squadrons and their support units to obtain critical joint training as well as test the most sophisticated technology available prior to deployment. 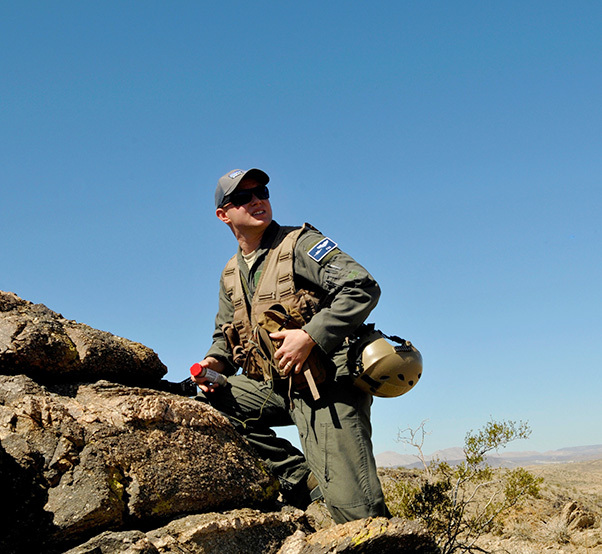 An A-10c Thunderbolt II Fighter Pilot from the 163d Fighter Squadron of the 122nd Fighter Wing relies on learned survival tactics to evade simulated enemy forces during a Combat Search and Rescue exercise September 19, 2017 at the Army’s National Training Center, Fort Irwin, Calif.The CSAR exercise was part of the Green Flag-West 17-09 air-land integration joint combat training exercise. 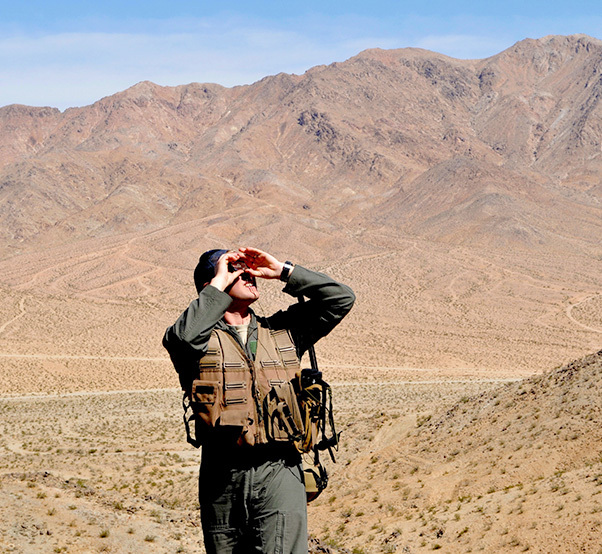 The training exercise included live-fire exercises as well as a full scale Combat Search and Rescue simulation that took place at Fort Irwin National Training Center, California. 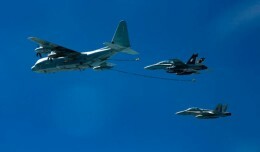 A task force of helicopters, aerial refueling tankers, ground attack aircraft and an airborne command post was required to successfully execute the missions. The 122nd provided the 163rd with support mirroring a full Air and Space Expeditionary Force package, complete with participation from over 12 units from the 122nd MXG. The 163rd and 122nd FW has participated in several training scenarios and will take part in several more in preparation for their 2018 AEF deployment. Readiness, however, is always a focal point for the wing and it is constantly sharpening the tip of the spear with yearly inspections and exercises. All four services were represented during the exercise. Some of the players included the 552rd Air Control Wing, Tinker Air Base, Okla., 2nd Stryker Brigade Combat Team, 2nd Infantry Division, Joint Base Lewis-McChord, Wash., and U.S. Marine Corps Reserve Center 6th ANGLICO (Air Naval Gunfire Liaison Company).